In Australia, a company has kicked off an experiment to see if coal-to-gas works, while Ceres wants to improve switchgrass. Regal Resources has secured commitments of $3.7 million to see if it's possible to turn coal into liquid fuel while sequestering carbon dioxide. 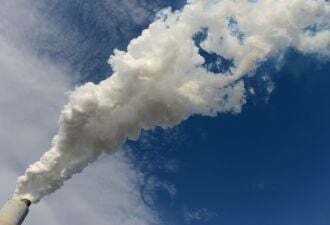 The company will conduct an experiment on coal seams near Melbourne, Australia in which the coal will be burned and converted into liquid underground. That way, any carbon dioxide and other greenhouse gases from the experiment will stay underground. The company also hopes to use underground pressure, as well as the insulating properties of coal, to accomplish this feat. Underground coal consumption has become a mini-trend in the last several months. Laurus Energy, backed by Mohr Davidow Ventures, is working on a coal-to-natural gas concept. The basic technology was developed in the Soviet Union several years ago-Laurus is effectively bringing it to the states. The Scottish government has a similar program. Coal-to-liquids will be more challenging. Making liquid fuel from coal typically results in a somewhat dirty and somewhat expensive form of diesel. The only two countries to use it extensively for long periods of time were Germany (when it was run by a group of guys who called themselves The Third Reich) and Apartheid-era South Africa. Neither country could get adequate supplies of standard fuel because of trade embargoes. Coal-to-natural gas also tends to be cleaner. The underground coal-to-liquids process cannot capture tailpipe emissions. Meanwhile, plant specialist Ceres has teamed up with the University of Georgia to develop a high-yield form of switchgrass for making cellulosic ethanol. The goal is to develop a grass that can deliver six to ten bone dry tons per acre. That's less than eucalyptus – some scientists can get 15 to 30 bone dry tons of plant material per acre with that tree – but it's better than many feedstocks. Switchgrass roots, unlike corn, also stay in the ground after the harvest and give rise to subsequent crops. Thus, carbon is not injected into the atmosphere through excessive tilling. Verenium, which has a deal with BP to develop cellulosic ethanol, announced that it has concocted Veretase, "a unique enzyme for the liquefaction of starch-based mashes and slurries specifically for use in food and beverage applications." Slurry, Yum! It won't be the first fuel company to look at food. Algae developer Solazyme says it can make cooking oils with the same profile as olive oil and many others algae makers plan to sell the protein from their single-celled creatures as pet food. The much-vaunted trial of algae biodiesel conducted by Virgin Atlantic was actually performed with oil from a company in Hawaii that specializes in food oils. In terms of dollars-per-gallon, food applications can sell for more.